Looking for something a little more exhilarating this Thanksgiving? Something with a bit more kick? 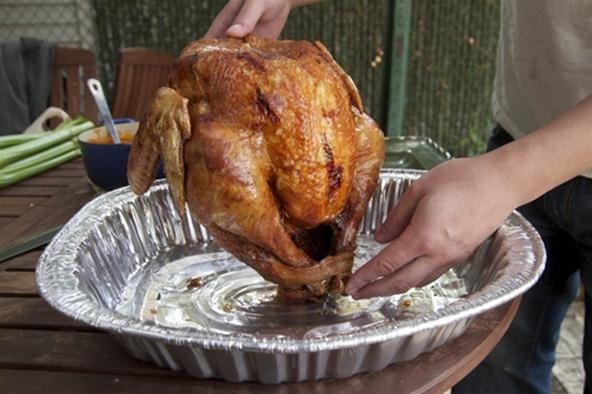 Forget traditional roasted turkey. If you've got the stomach for it, try turducken, a wonderful triplex of turkey, duck and chicken with sausage stuffing and Cajun seasoning. 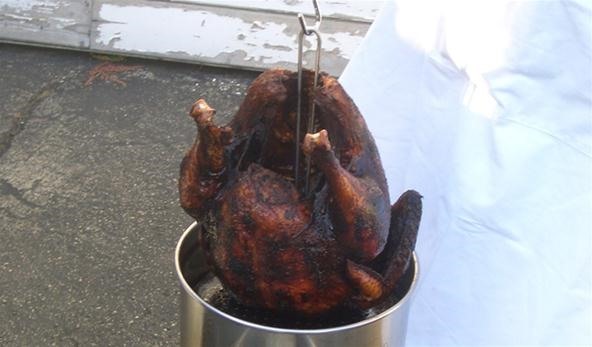 Or go for good ol' American fried food, the deep fried Thanksgiving bird. Before you get your hands dirty—and possibly splatter scolding hot oil all over yourself or start a grease fire—check out this recipe from J. Kenji López-Alt over at Serious Eats. He's experimented with hot oil and turkeys multiple times, transforming from a deep fried turkey hater to an advocate. 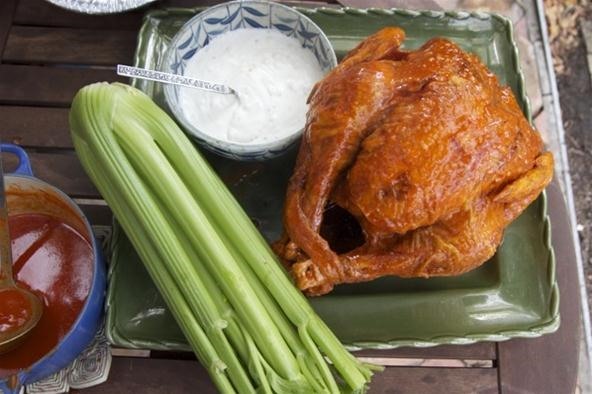 If you prefer your deep fried turkey "hot wings style", then Kenji also has a recipe for buffalo fried turkey. If you don't mind getting your hands a little slimy, this one looks pretty delicious—perfect for snacking as you enjoy a day of lounging, watching football. 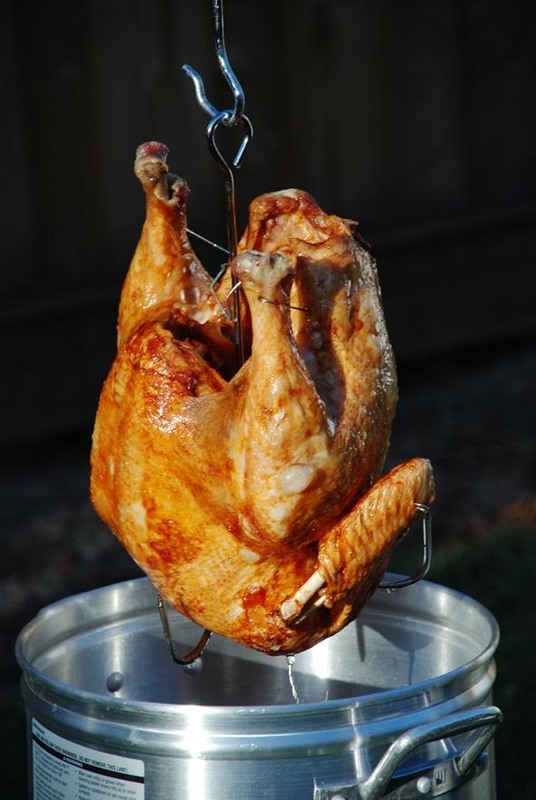 If you'd rather have your deep fried turkey plain, but with a nice charcoaled skin, Popular Mechanics has their own guide to frying the perfect Thanksgiving turkey—without starting a neighborhood fire.